Social media consulting leads you to many different places. One such place is the sharing economy or collaborative consumption. I was recently asked to speak at Social Media Women, a regular meeting of professionals with an interest or working in the field of social media consulting. 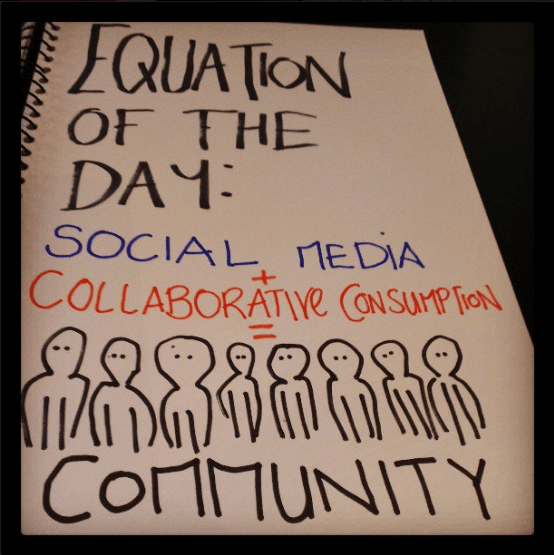 The topic was collaborative consumption and how it relates to social media in general. Being asked to speak about social media and collaborative consumption together certainly got the synapses firing. So I thought I’d distil those thoughts and see if we can’t generate some conversation around the two topics. These are my personal ponderings and it would be great to add to them with ideas on how we can use social media consulting practises to aid collaborative consumption grow in Australia, plus also find solutions to the issues both social media and the collcons scene face. One of the common things you come across in social media consulting is the worry that the online world will change the way we communicate in real life. Many people worry that the online world takes too much away from the connections we make in the real world. Alternatively, some of us simply don’t have the time or energy to go to every single face to face event we’d like to. Is either any more useful than the other? Can either work in isolation without the other in this world? What you experience online is no less real than what you receive face to face. In fact, some people find it much easier to tell their story and open up online than they do in person. That doesn’t mean what they feel is any less real. It simply means they have a preferred method of communication. One thing you learn pretty quickly in social media consulting is that you can use the online world to enhance and grow real world connections. But there is something quite lovely about bringing a connection online into a face to face meeting, just as it’s helpful to add that extra dimension of casual conversation after meeting someone via social media. The two come together to create a whole experience that’s richer than if both existed in isolation. They balance each other out as well as add extra layers to the connection. In theory, collaborative consumption works. It’s a very tangible, heartfelt and desirable idea. The thought of helping out the planet, aiding the community and making new friends and memories along the way is incredibly enticing. Sharing as a way of life speaks to us because we genuinely enjoy being in a group, a pack and a village. It’s the enjoyment of the shared experience that makes us feel the most content because it validates who we are through showing others feel the same. With collaborative consumption, most of this theoretical love, affirmation and conversation occur online. Without social media consulting services, I doubt sharing economy businesses would succeed and survive. The media loves collaborative consumption as it’s the great innovator, leveller and champion movement of socially responsible behaviour. People are so inspired by books and TED talks they choose collaborative consumption as their startups. The sharing of the ideal makes for fantastic content for something like social media that relies on the concept of saying “yes, I like this” or “this is something I follow with interest”. This is great because it provides a story for people to talk about, but what happens when you ask them to act? Another thing you learn in social media consulting is that the prettiest social media profile means nothing if the people you attract don’t translate into ones that take action. You can’t simply count numbers of people and expect that to be enough if they’re not becoming your customers. Real world meetings are the crux of what has to happen for collaborative consumption to work. People have to meet to share that experience, rent that drill, work in that co-working space or complete that task. Without that step towards action, collaborative consumption falls down because we’re not consuming anything. If two people don’t meet to exchange book, it’s still simply a book owned by one person gathering dust that’s been posted online. If a person keep cracking jokes via social media and no one responds, it won’t move any deeper than a broadcast of witty one liners. Yet because the first person has taken action to post that book or crack that joke and can come back to review it over and over in cyberspace, they can convince themselves action has been taken. However it doesn’t influence anything until the 2nd party becomes involved. Someone needs to share that book or joke for it to really be collaborative or social. The online experience has to provide enough of a sense of belonging to a wider group, a common goal, and inspire enough investment in a story for people to want to attach themselves to the ideals of sharing, community and exchange set down by the theory. Similarly, the offline experience has to take that level of rapport and build the trust even further. Not through feature sets or promises, not through theory- but with tangible action. To meeting up, to sharing, to breaking down the conditioning we’ve all undergone to only trust a company and instead, trust the individual. In a lot of respects, this means social media consulting and collaborative consumption are very similar. The existence of community and the propensity for action by those communities will directly influence the success and failure of collaborative consumption, just as it defines the return on investment placed in social media. How both are nurtured, encouraged and grown will directly influence their effectiveness. In the next post, I tackle the theory versus practise and the challenges both social media and collaborative consumption face when applied to humans and real world situations. 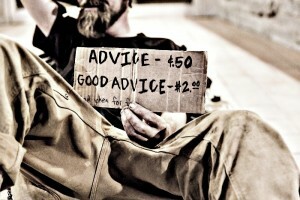 The right kind of social media consulting service can help take your collaborative consumption business to new heights. Find out how now.